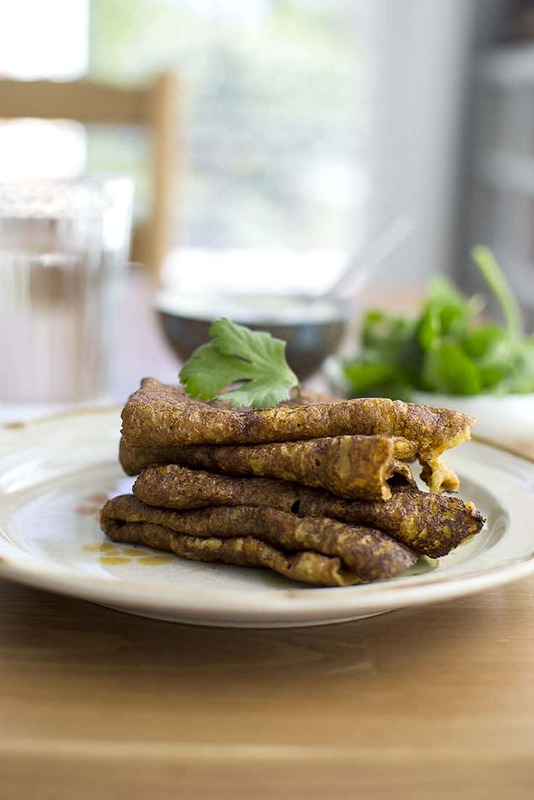 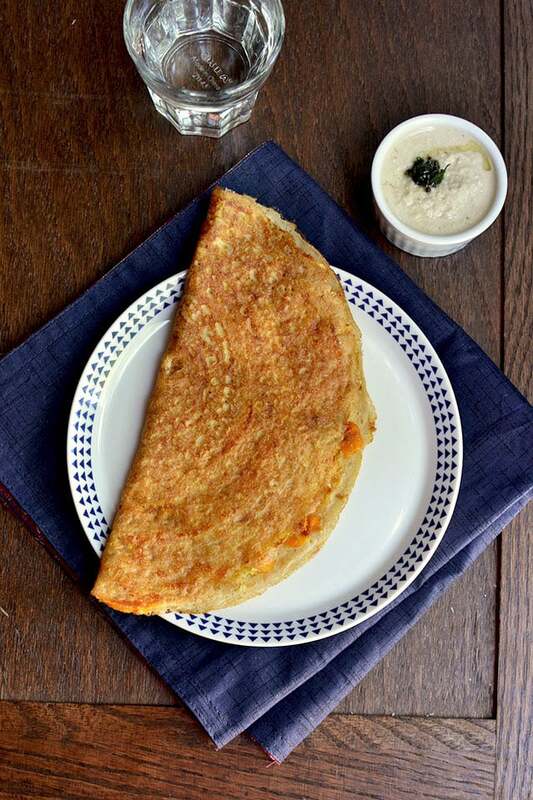 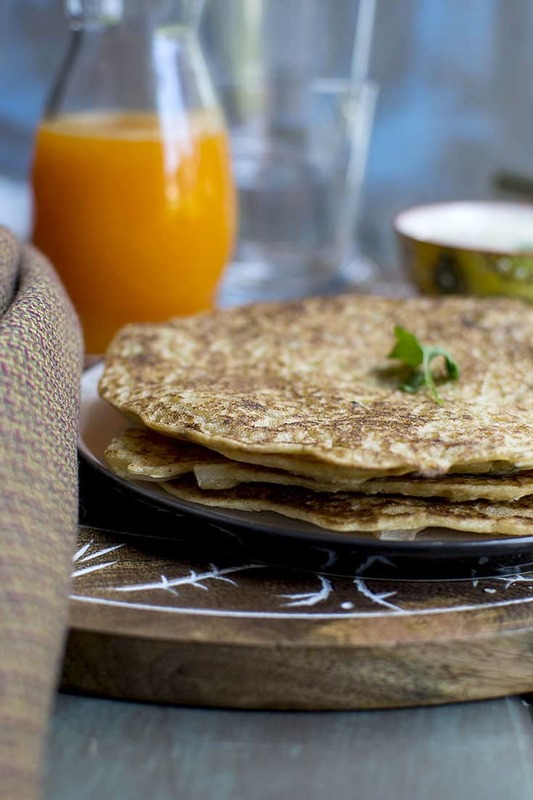 Traditional South Indian dosa with a twist — tomato dosa. 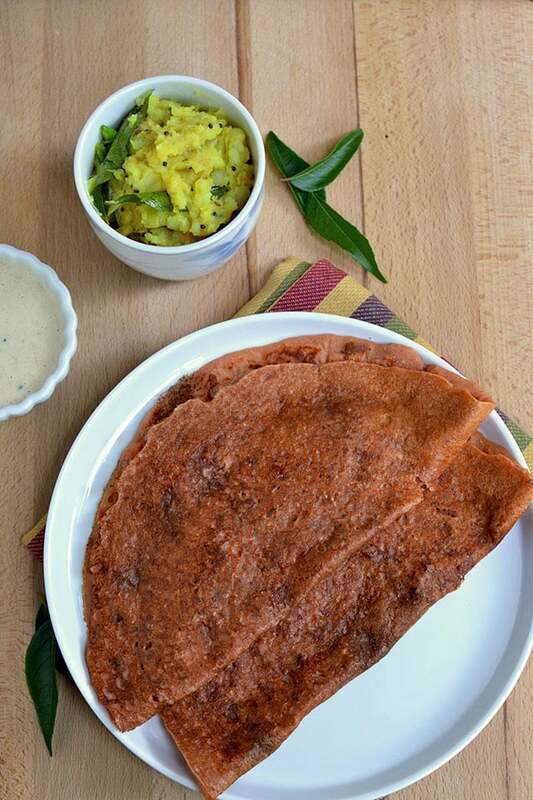 Tomato puree adds a nice red color and slight tanginess. 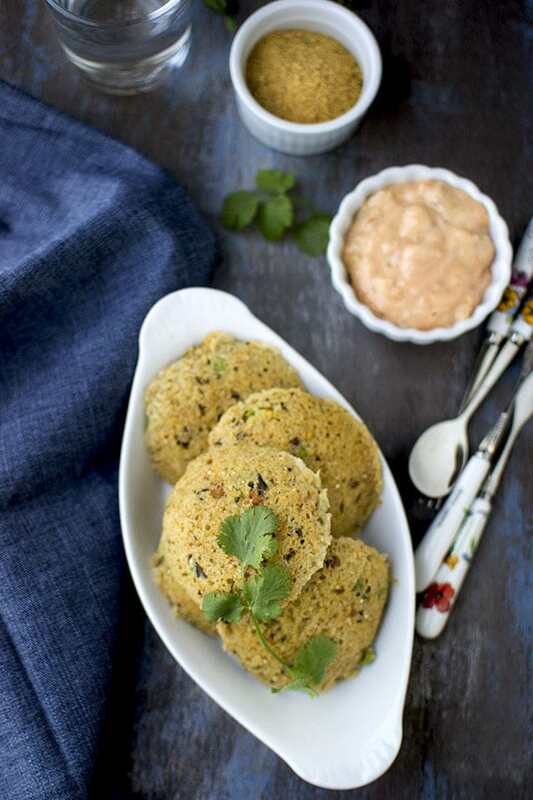 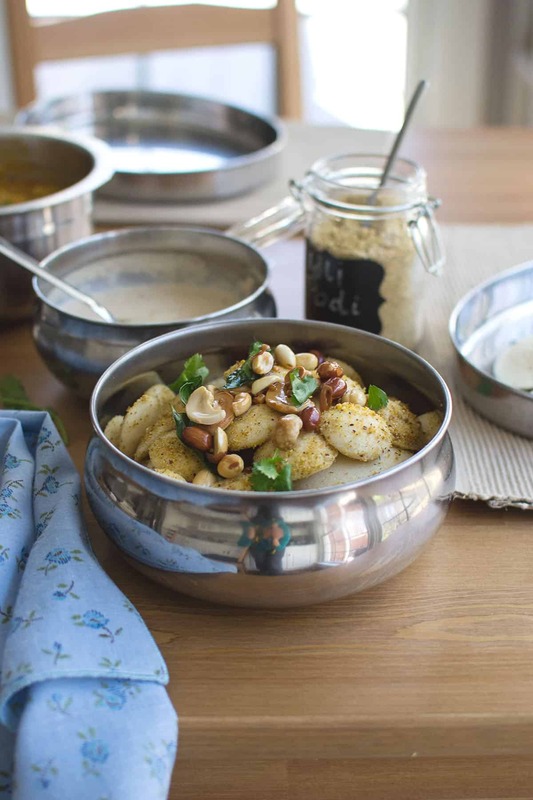 Idlis made with Jonna rawa or cracked sorghum and served with a healthy coconut-almond chutney — healthy & nutritious breakfast that tastes delicious.